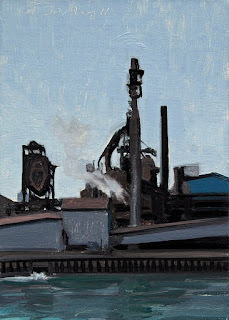 Today's daily oil painting is an industrial scene of the United States Steel plant along the Detroit river. 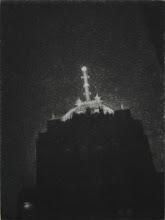 I am working on a drypoint of this plant with more background. 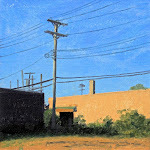 Today's daily oil painting is an industrial scene of an interesting two part building along the Detroit river. 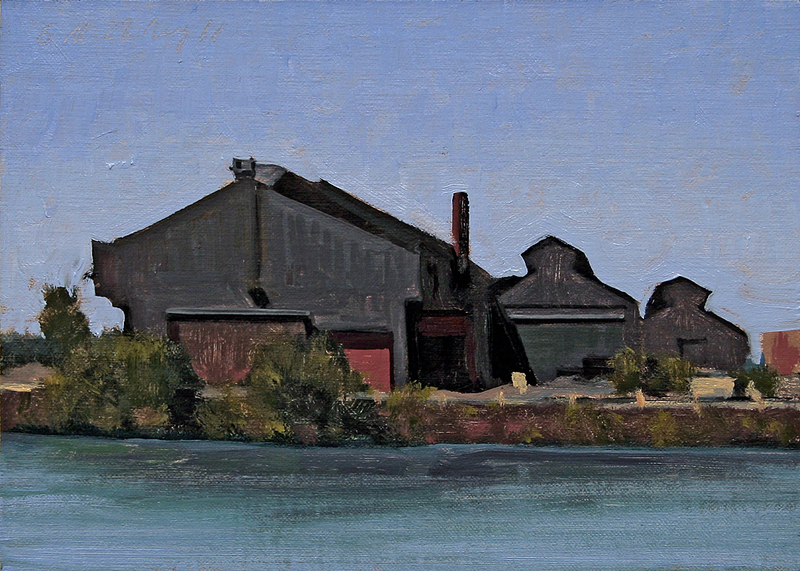 Today's daily oil painting is an industrial scene of the United States Steel plant along the Detroit river. 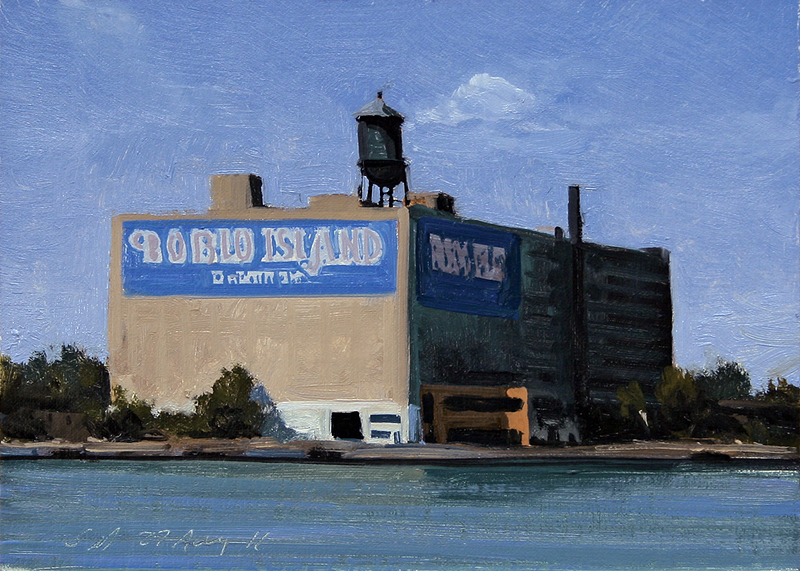 Today's daily oil painting is an urban landscape scene of the Boblo Island Detroit Dock along the Detroit river. 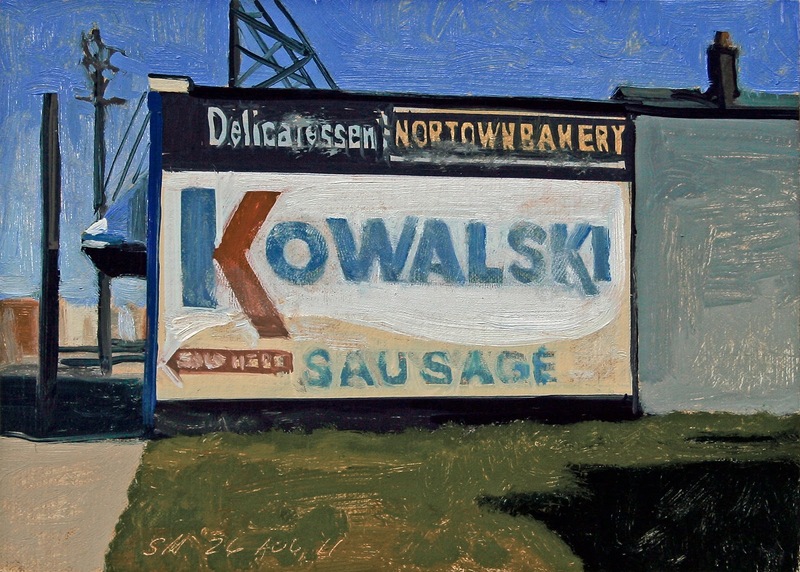 Today's daily oil painting is an urban landscape scene of a colorful bakery on Conant St in Hamtramck in early morning light. This is down the street from yesterday's bakery painting. 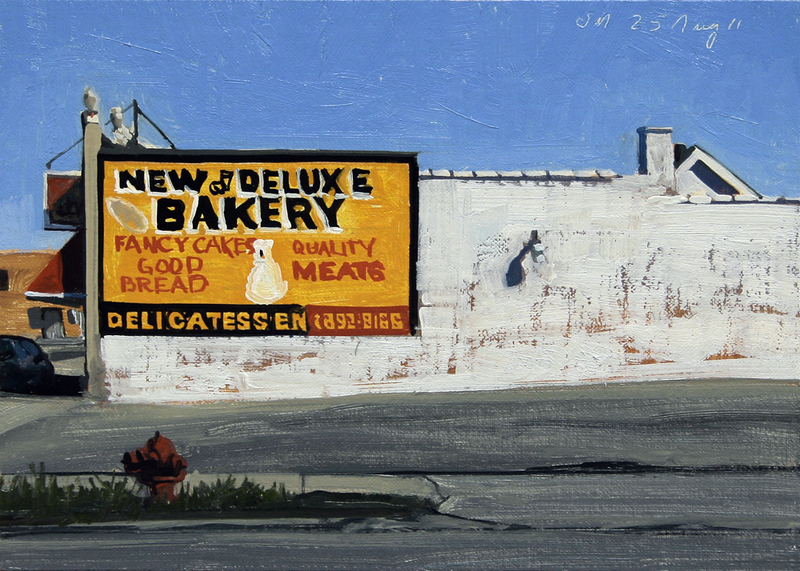 Today's daily oil painting is an urban landscape scene of a colorful bakery on Conant St in Hamtramck in early morning light. 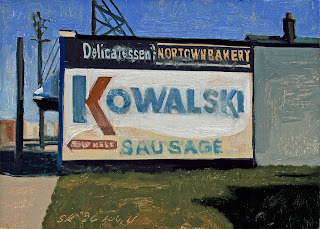 Yes I had a treat with some coffee. 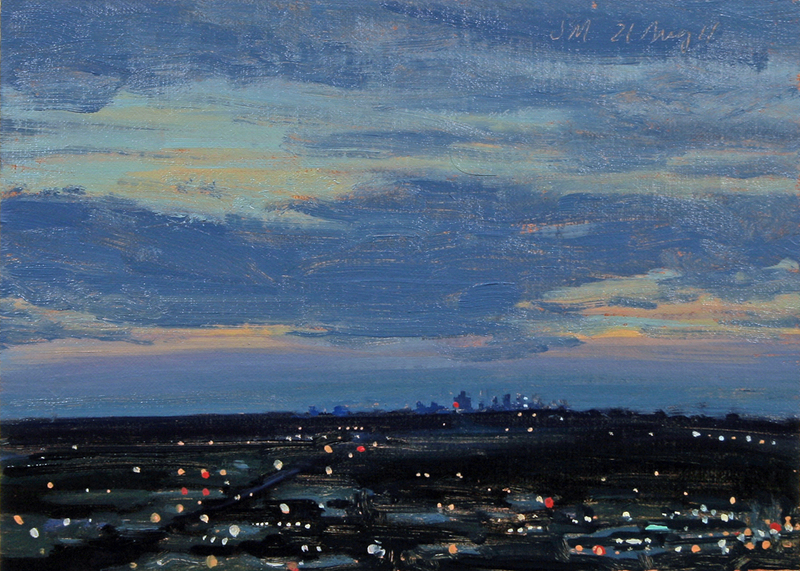 Today's daily oil painting is a landscape of a dramatic sky and the Detroit skyline at dusk. Drypoint on Rives BFK Paper, 2011, 5x4" on 7.25x6" Paper"
Today's artwork is a drypoint print of a Belle Isle bridge and snow shadows on Belle Isle Park in the Detroit River. 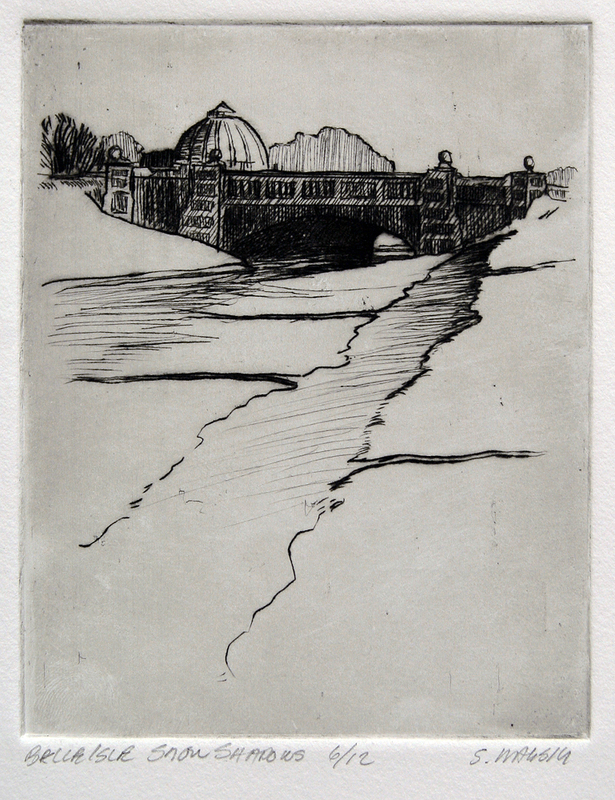 This drypoint print is #6/12 from a copper plate and Faust warm black ink on Rives paper hand pulled by me. 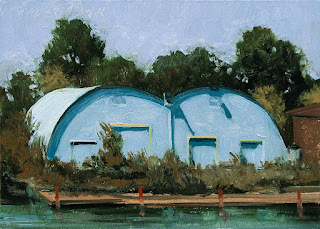 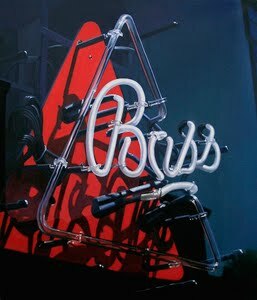 Each print is slightly different, this is the actual image and has a nice rich plate tone.